While the advertising industry is cluttered with award shows, the Midas Awards that recognise the world's best financial advertising are ones to watch as this form of brand messaging is aimed at gaining the rarest kind of consumer trust imaginable. Here's how SA's own Cullinan agency recently proved its weight in gold. SA had the second most shortlisted entries into the 2017 Midas Awards’ shortlist for the world’s best financial advertising, following US agencies’ 101 with 40. SA has second most-shortlisted entries for Midas Awards! Cullinan South Africa led that pack on those, with 23 entries shortlisted for its work on Absa/Barclays across a spectrum of creativity, from events and design to art direction and photography. Cullinan’s ‘Give Art Life’, in which they created art pieces from artworks and human canvasses, also scored combined third in the integrated and experiential categories of the Creative Circle’s September to December 2017 combined judging. South Africa wins 12 Midas Gold Ingots at Midas Awards! The results of the juries also form the annual rankings brief, The Midas Report, which includes three individual reports: Agency, brand and network. Absa placed second as the most awarded financial brand, with Cullinan ranked second in the agency report behind McCann New York of the world-renowned ‘Fearless Girl’ campaign, which promoted the State Street Global Advisors’ She fund for companies with more women in leadership. Not bad for a small boutique startup in just its second year of operation, which turned down a 26% acquisition offer and works in small, remote interdisciplinary teams aimed at creating memorable and powerful brand experiences across any possible medium. Talk us through your Midas award-winning work. Cullinan agency cofounder and creative partner Tom Cullinan, part of the Midas Awards' 2017 executive jury. Cullinan prides itself on true integration. Not only as an offering but also in crafting exceptional creative across multiple touch-points. This has been at the heart of the success of the Absa L’Atelier Give Art Life campaign at the Midas Awards as it really spreads across the disciplines recognised at the show. As an artist, you have the power to give something life, to make it breathe, make it move, so that it creates an impact on existence itself. You have the power to give art life. Our aim was to inspire young artists in Africa, so we created art pieces of our own to promote art, utilising artworks and human canvasses to give art life. Our artworks were brought to life through photographic stills, animated gifs, installations, a 235-page book and unique experience events. Awareness of the L’Atelier was raised substantially and we’ve hopefully given young artists even more power to change the world. You sure have. Explain the importance of awarding financial advertising in particular. Absa L'Atelier's Give Art Life. For many people, there’s still a generalised opinion that financial advertising is boring. That’s very far from the truth when you look at what did really well at the Midas Awards. We were privileged enough to be part of the grand jury and got an in-depth view of what’s shaking up the category. Financial institutions are behaving more like tech companies and the use of technology and innovation in banking is obviously being reflected in communication campaigns. Besides that, financial institutions play a huge role in everyone’s daily lives, so the work is also very socially relevant. A case in point is the Fearless Girl campaign for State Street Global Advisors. 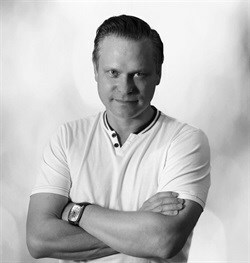 It is one of the most highly honoured campaigns in the history of the Cannes Lions International Festival of Creativity. The campaign was also recognised at the Midas Awards with nine gold ingots and took home top honours with the Grand Midas. What do wins of this calibre mean to you as an agency, as well as to your clients? Although it sounds clichéd, great work can only be achieved through trust and collaboration. Our fantastic clients were literally in the trenches with us to make the best decisions and help shape the work. It’s very rewarding for us to see Absa placed second as the most awarded financial brand globally, behind Mastercard. 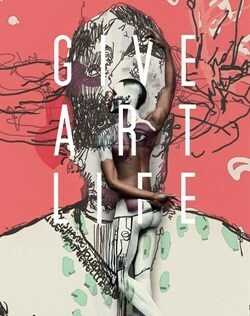 The Give Art Life book by Cullinan for client Absa L'Atelier. For Cullinan, being ranked second on the Midas Brand Report behind McCann New York is a massive accomplishment, for us and our agency model. Great work does not necessarily require a huge budget and going through a clunky, outdated, big agency system. We are really harnessing the idea of matching talent per brief and breaking down the talent structure to determine who gets to work on client briefs. The best people can’t possibly be sitting in one building. We believe the most talented people do not live in the same city or even country. We work in small, remote, interdisciplinary teams made up of experienced individuals. We’re into our second year of operation and, interestingly enough, SoloUnion out of New York and Builders Arms out of London, which both launched at the end of 2017, are built on a model similar to ours. We’ve realised that we’re on to a good thing and feel like we have the authority to claim what we set out to achieve – that we are the agency of the future. List other agency highlights over the past two years. Turning down a 26% acquisition offer. Having an event, packaging design, social experiment, website build and a major brand re-launch all in the system at once is a great affirmation of our adaptable scope of services approach and showing, once again, that creative is king. Share your views on the state of the local advertising awards industry. South Africa has always punched above its weight across all international award shows. Being on the executive jury of Midas, we only got to review about 250 of the finalists. The South African work stands out for sure, being particularly innovative with mediums targeting niche audiences and on quite small budgets. When it comes to the big budget film work, we are also still world class. That’s so good to hear. What’s next for Cullinan? We would like to further extend our client portfolio and continue to collaborate, to do the best work possible for our clients… and it would be nice if we could continue to pick up some awards along the way! Our formal plans are underway to fast-track young talent into the industry – the feedback from interns working with us has been extremely positive as the agency is very robust and a perfect environment for hands-on learning. We will be formalising the programme in the near future. We’ll keep an eye out for that. What trends do you see as the biggest to come in 2018? Permanence. The lack of permanence will still prevail, which will open gaps for a more disruptive way of doing things. The dissemination of talent and skill will continue as we see the top talent moving into freelance or consulting. From a creativity perspective, agencies will endeavour to have ideas with more permanence, like product or business ideas. The industry is tired of doing stuff that gets chucked away at the start of the next quarter. We wonder how many clients have walked into their agencies in the past six months saying that they would like a Fearless Girl-type of idea. We should see the results of those ‘Fearless’ requests soon. Seems we can count on more work from Cullinan that’s anything but boring! Click here to download the 2017 Midas Report and contact Cullinan through their website or follow the Cullinans on the following Twitter handles: @CullinanT and @privateproject8.